Is God's Work Must Based on the Bible? Since Almighty God’s work of the last days was carried out in Mainland China, His utterances have shaken all denominations and sects. When those who pursue the truth and long for God’s appearance hear God’s voice, they all seek and investigate Almighty God’s work of the last days after being moved by the Holy Spirit. They have seen the appearance of God in God’s words, been taken before God’s throne, and attended the wedding feast of the Lamb. However, some people, because of their notions and imaginations, refuse to accept Almighty God’s work of the last days, thinking that Almighty God’s work of the last days exceeds the Bible. And then follow various voices of judging and slandering God’s work. Some people say: “All God’s word and work is in the Bible. What you preach is beyond the Bible, so we cannot accept.” Some say: “Our belief in God must be in accordance with the Bible. Belief in God is belief in the Bible, and belief in the Bible is belief in God.” And some others say: “The Bible is the canon of the Christianity. For thousands of years, people have believed in the Lord based upon the Bible. 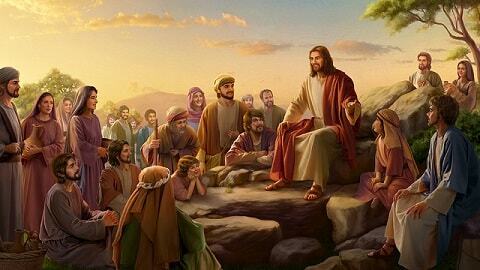 If we depart from the Bible, then that’s not belief in the Lord and we cannot gain life.” As one of the members who are fortunate enough to accept Almighty God’s work of the last days, I’d like to seek and fellowship about the relationship between God’s work and the Bible with brothers and sisters. May we hold a humble and seeking heart toward Almighty God’s work of the last days. Because the Lord Jesus has told us long ago: “Blessed are they which do hunger and thirst after righteousness: for they shall be filled” (Matthew 5:6). “Blessed are the pure in heart: for they shall see God” (Mat 5:8). Let’s look back: Before God created the heavens and earth and all things, there was no mankind or all things, let alone the Bible. At that time, on what basis did God do the work of creating the world? At the beginning of the Age of Law, mankind even didn’t know how to live. Not until Jehovah God guided them did they just come to know about it. Who could record the work God did in the Age of Law ahead of time? Wasn’t it recorded after God did the work? In the Age of Grace, there was only the Old Testament when the Lord came to work. Then what did God base His work of the Age of Grace upon? All those who are familiar with the Bible know that the New Testament wasn’t compiled until 300 years later after the Lord Jesus resurrected and ascended to heaven. So, before the New Testament existed, didn’t the Lord Jesus carry out His redemption work in the Age of Grace all the same? Let’s see Almighty God’s work and word in the last days. It is only referred to in the prophecy of Revelation. Referring to the prophecy, it means the work that has yet to be done by God and the word that has yet to be spoken. Can Almighty God’s work and word travel back and forth in time and be recorded in the Bible ahead of time? In our fellowship up to here, brothers and sisters, should we still believe that all of God’s word and work is recorded in the Bible? Still believe that betraying the Bible is fraudulent? And still believe all God’s work and word is in line with the Bible? In fact, the reason for this is because we worship the Bible or blindly trust it, and thus we have no place for God in our heart. In fact, much of Jehovah God’s and the Lord Jesus’ work is not recorded in the Bible. Just as apostle John said: “And there are also many other things which Jesus did, the which, if they should be written every one, I suppose that even the world itself could not contain the books that should be written” (John 21:25). And the Lord Jesus has said: “Search the scriptures; for in them you think you have eternal life: and they are they which testify of me. And you will not come to me, that you might have life” (Jhn 5:39–40). 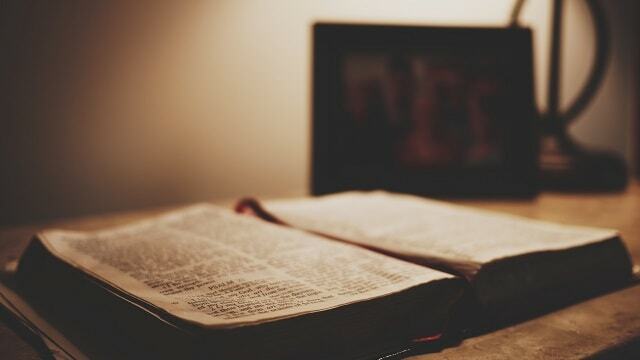 From the Lord Jesus’ words, we can see: The Bible is only a testimony for God, and there are also some words teaching people to live and worship God in it, so it cannot give us eternal life. Only Christ is the One who bestows life. We think the Bible can save man and give us eternal life, therefore we worship it and put blind faith in it. However, from the Lord Jesus’ words, we can see that it is from our notion and imagination and is not in accordance with God’s intention. The Lord Jesus’ work has explained all this. It is because the Lord Jesus’ work was not recorded in the Old Testament that the religious leaders, scribes, and Pharisees, in those days, who only admitted the records in the Old Testament, didn’t think the Lord Jesus was the coming Messiah foretold in the Old Testament. When they saw the Lord Jesus heal the sick on the Sabbath, they thought His work and word was beyond the Old Testament, so they resisted and condemned the Lord Jesus’ work and word and nailed Him to the cross. Because they offended God’s disposition, they were punished by God. As a result, the nation of Israel was destroyed. However, nowadays the religious leaders and pastors still hold on to the Bible, thinking God’s work and word cannot go beyond the Bible, so they reject the work and word of the returned Lord Jesus—the Christ of the last days. What difference is there between them and the Jews at that time who crucified the Lord Jesus? Aren’t we afraid of the destruction of the Jew? What Does “Born Again” Mean? How to Get Reborn? In fact, God never says that all the words in the Bible are His words. So which words in the Bible are God’s words? After Bible study, they found the answer. By Siyu, China Han Zheng, sitting at her writing desk, was reading the word of the Lord Jesus softly, “My sheep hear my voice” (John 10:27). Then, she frowned, as if recollecting something, and then hurriedly looked through the Bible and found a piece of scripture: “He that has an..